Google is known for naming each major version release of its mobile Android operating system after a dessert, but the next release will be the first one to be named after a specific brand of treat in a marketing deal with Nestle’s Kitkat chocolate bar. The news was announced today on a new Web page on Android.com and via the Kitkat Twitter account. According to Mashable, Google contacted Kitkat about lending its name to the new Android version and no money was exchanged in the deal. Instead, Kitkat will be marketing Android on its candy bar packaging and offering a contest with a Nexus 7 tablet and Google Play gift card included as prizes. I am looking forward to Android Kit Kat, if only because I want to give myself a break. Who comes up with these Android code names? KitKat?! Give me a break! 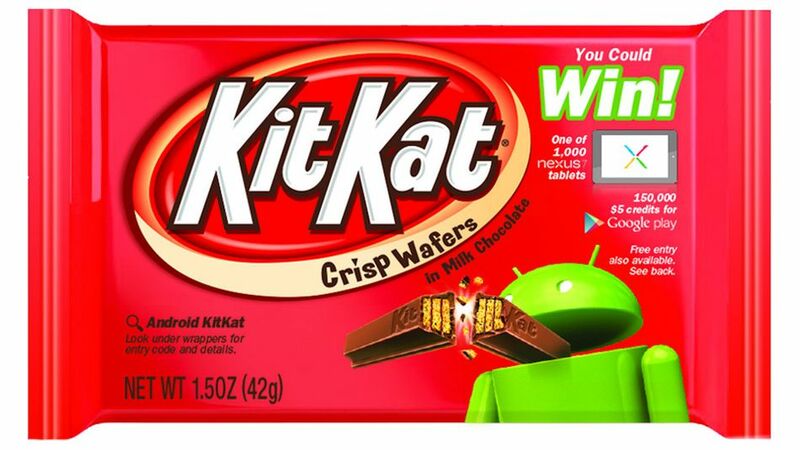 The next Google Android OS will be called Kit Kat. And the next Microsoft Windows? Kit Kat Chunky.